Smads form a unique class of signaling molecules [2-5]. Eight Smads have been identified in the mammalian genome, and these Smads are subdivided into three distinct classes: the receptor-regulated Smads (R-Smads 1, 2, 3, 5, and 8); the common mediator Smad, of which only one member has been found, Smad 4; and the inhibitory Smads (I-Smads 6 and 7). All Smads are structurally related. They possess an amino-terminal MH1 domain (for MAD homology domain 1) that is poorly conserved in the I-Smads, followed by the linker region and in the carboxy-terminal region a MH2 domain. Each of these domains fulfills critical effector functions in Smad signaling by mediating proteinprotein and protein-DNA interactions. Figure l TGFp/activin and BMPs signal through distinct receptors and Smads. TGFp/activin and BMPs bind to different receptor complexes that phosphorylate distinct R-Smads. Phosphorylated R-Smads then bind Smad4 and the complexes accumulate in the nucleus. R-Smad complexes associate with different DNA-binding proteins (DBP-BPs) to regulate distinct target genes and generate diverse biological responses. the receptors may be important for signaling. Indeed, endo-cytosis has been noted to be important for initiating TGFp signal transduction in certain cell systems [12,13]. Another receptor-associated protein that may be involved in this pathway is Disabled-2, which interacts with the TGFp receptor complex and is important for receptor-dependent activation of Smad2 . This may be particularly important in the visceral endoderm during gastrulation in the mouse . DNA at sites that lie adjacent to the DNA binding partner site. Contact of Smads with DNA in turn plays an important role in stabilizing DNA binding by the ternary Smad-DNA-BP complex. Smads thus bound to regulatory elements can control the transcriptional response by recruiting coactiva-tors such as histone acetyltransferase, MSG, and SMIF or corepressors such as TGIF, SnoN, or histone deacetlyases. In this regard, the role of Smad4 in TGFp-dependent transcriptional activation seems particularly important, and Smad4 can bind directly to the p300/CBP histone acetyl-transferases. 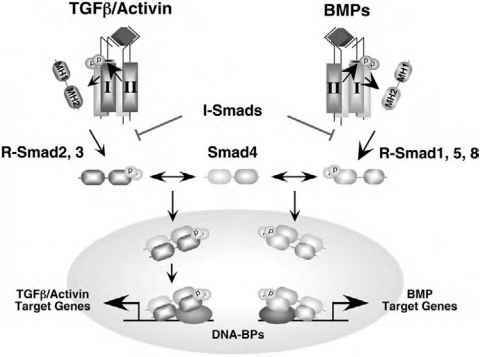 Thus, many, but not all, transcriptional responses to TGFp are lost or blunted in Smad4-deficient cell lines, and, because, Smad4 binds all activated R-Smads, it likely fulfills similar general activation functions in the BMP pathways. Exactly what determines whether Smad complexes recruit coactivators or corepressors is unknown; however, a correlation between the ability of Smad3 to bind DNA via its MHl domain and suppress transcriptional responses of model promoters has been observed . 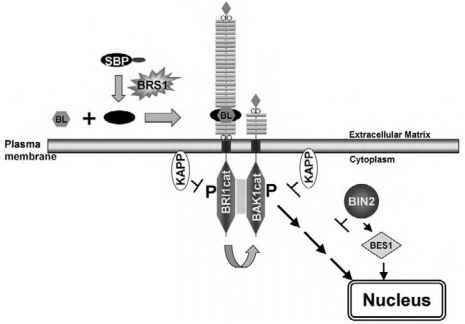 One of the interesting aspects to emerge from this mode of regulation is that many of the Smad DNA-BPs themselves function to mediate trancriptional responses to other cell signaling pathways. 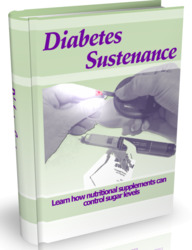 For example Smads interact with AP-1, ATF2, vitamin D receptors, and LEF/TCF DNA binding partners which themselves function in MAPK, p38, vitamin D, and WNT signaling pathways, respectively. This leads to an important area of cross-talk between the TGFP-Smad pathway and other signal transduction pathways. Cross-talk between the Smad pathway can also occur upstream of transcriptional activation via phosphorylation of Smads in sites other than the carboxy-terminal SSXS motif. Thus, MAP kinases that function downstream of receptor tyrosine kinase pathways can phosphorylate Smads in the linker region and modulate their activity , whereas PKC has been shown to phosphorylate Smad3 in the MH1 domain and inhibit DNA binding and activation of Smad3 target elements . In contrast to the R-Smads and Smad4, the two inhibitory Smads, Smad6 and Smad7, function as antagonists of Ser/Thr kinase receptor signal transduction [20-22]. These I-Smads form complexes with the activated type I receptor, prevent access of R-Smads to the receptor, and can mediate ubiquitin-dependent downregulation by recruiting Smurf ubiquitin ligases to the receptor complex [23,24]. Smad6 appears to preferentially target the BMP pathway, whereas Smad7 potently blocks both TGFP and BMP pathways. Interestingly, expression of the I-Smads is regulated by a variety of signaling pathways that include interferon y, TNFa, and EGF, as well as TGFP and BMPs themselves . These latter observations suggests that I-Smads form part of a negative regulatory loop that serves to dampen the activity of ligand-activated Ser/Thr kinase receptor complexes.